When I look at the way most people start their days, I’m just left shaking my head. There are so many foods labeled as breakfast foods that are high in sugar, stuffed with additives, and so low in protein that it’s a wonder anyone is even able to stand upright by the time lunch rolls around. If you were to ask me what the single simplest and most important change most people need to make to their diet to burn more fat, I’d say resoundingly: eat more protein for breakfast. There are so many incredible sources of vegan protein, which makes whipping up a satiating breakfast a lot easier than you think. This smoothie is a perfectly delicious example. It’s packed with tasty, filling nut butter, and it also tastes like dessert. Best of all, there’s not a touch of refined sugar stirred in. Just real food that’s both really good and really good for you. It’s like having a chocolate­-covered peanut butter cup for breakfast, but it’s so much better for your body. And because it’s chock full of all-natural sweetness, your blood sugar levels won’t fluctuate wildly. 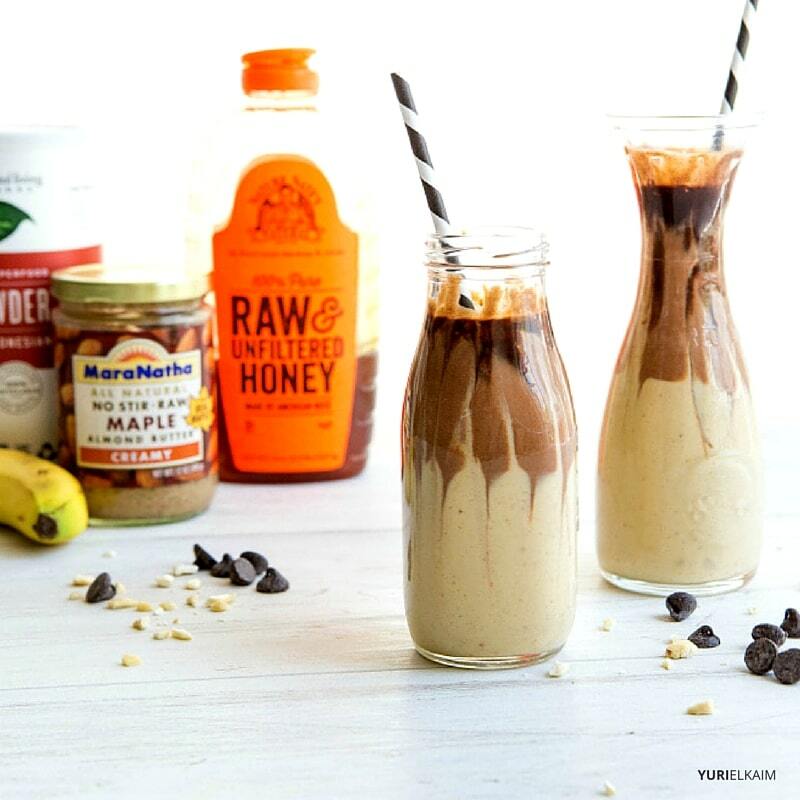 This smoothie is also great as a post-workout recovery drink, since it has added plant-based vegan protein. Protein isn’t just important for breakfast, it’s also essential for muscle growth, and consuming protein after your workout significantly helps repair and rebuild muscle tissue. 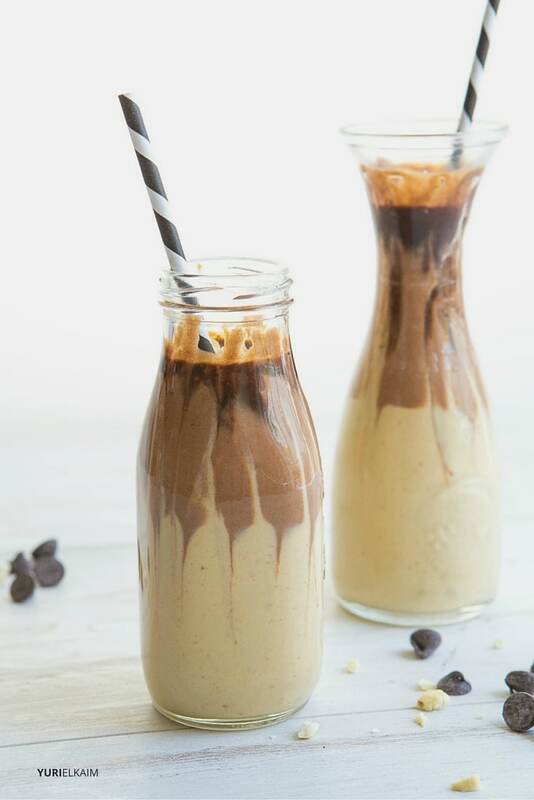 This smoothie gets super-boosted protein from both almond butter and hemp seeds, serious superfoods which also offer massive amounts of vitamins and nutrients (like iron, magnesium, and healthy fatty acids to reduce inflammation) with very few added calories. I’ve also added in a scoop of coconut oil, since a small amount of healthy fat reduces insulin levels. Coconut oil has medium-chain fatty acids to reduce inflammation and is also rich in lauric acid, which has many germ-fighting and anti-viral properties that are excellent at ridding the body of viruses and bacteria. Finally, you’ll get a chocolatey flavor from raw cacao, which can be found in the baking section of most grocery stores and health food stores. Cacao is simply the unprocessed form of cocoa powder, and has higher antioxidant levels than cocoa powder. If you can’t find it, substitute cocoa powder. If you want a smoothie that tastes like an indulgent treat but still want to keep it healthy, try this amazing smoothie for breakfast, snack time, or post-workout. It’s dessert at any time of the day! 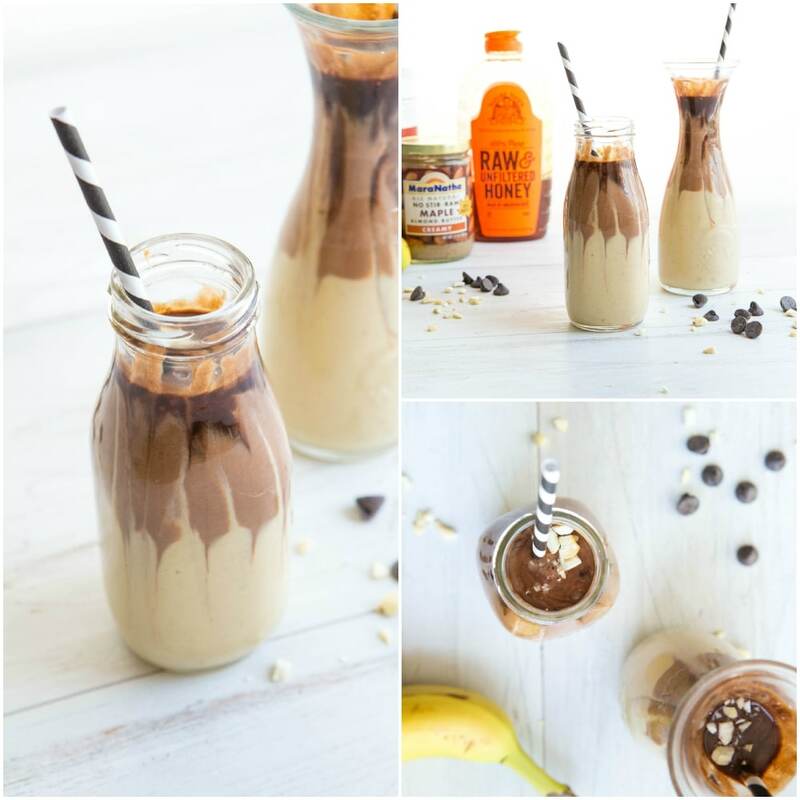 If you want a smoothie that tastes like an indulgent treat but still want to keep it healthy, try this amazing smoothie for breakfast, snack time, or post-workout! In a blender, combine banana, almond butter, hemp seeds, almond milk, vanilla, and cinnamon. Puree until smooth. Spoon half into a mason jar. Add 1 1/2 tablespoons of raw cacao to the blender and puree. Spoon on top of the almond butter layer. In a small bowl, swirl together honey, 1/2 tablespoon raw cacao, and coconut oil. Drizzle over smoothie. To swirl layers together, press a straw down the sides of the smoothie. Serve immediately and enjoy! How Much Do You Actually Know About Protein?